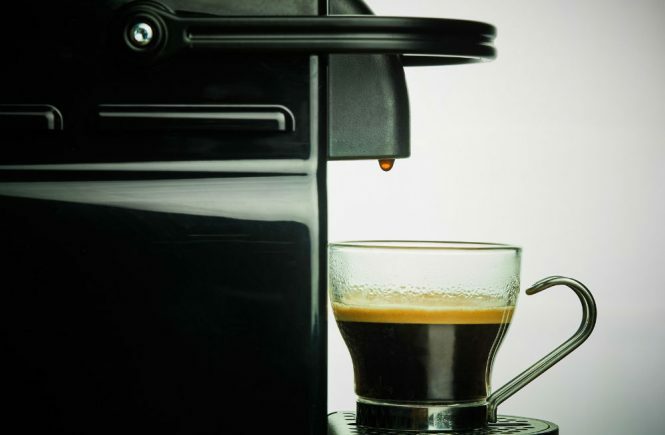 Single-serve coffeemakers are able to make your special hot brew quickly and easily. One press of a button and you will find your coffee steamily dripping into your cup! They come in different shape and sizes. Several come with advanced options to customize your taste and preparation. Reviewed below are some single-serve brewer options. You choose the one that suits your requirements the best. 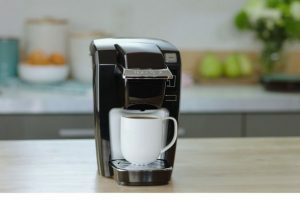 What should you look for in a single-serve coffeemaker? 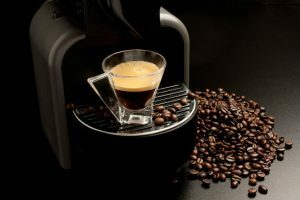 Besides the brand of the single-serve brewer and its price, there are a few other important points that should be kept in mind while selecting one. 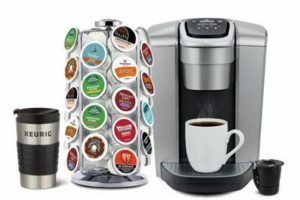 Listed below are four different single serve coffeemakers. 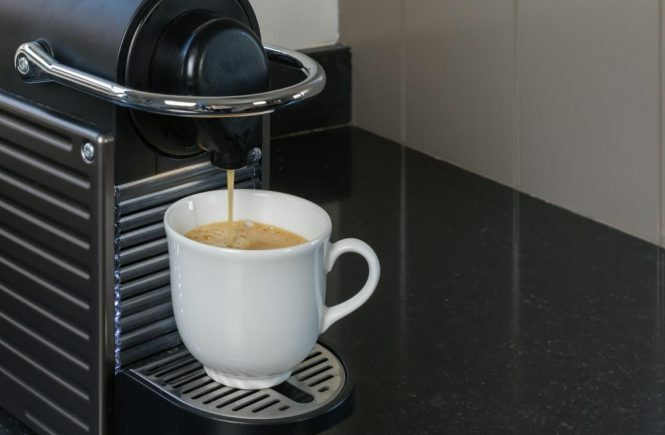 This single-serve coffeemaker is compact and can brew from 6 oz. to 10 oz. of your favorite brew variety within 2 minutes. It can make iced beverages, specialty drinks, hot cocoa, tea, and coffee, at the touch of a single button. 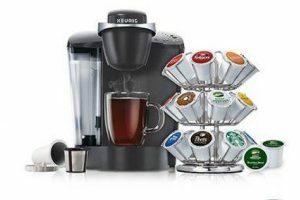 The Keurig K15 comes with a cord storage and a removable drip tray. It automatically shuts off after 90 seconds. It is made of high-quality durable material and has wheels to make its movement across the platform easier. The storage drawer has the capacity to store a maximum of 35 K-cup pods. With the single-serve scoop filter, of the Hamilton Beach 49981A Single Serve Scoop Coffeemaker, you can brew your own ground coffee. The 49981A has the capacity of brewing a maximum 14 oz. of your choice of drink. It is made of durable stainless steel and has an inbuilt stand for mugs. The mesh scoop filter allows you to make a fresh hot drink of any flavor, brand, or strength. The boldness of the brew can be adjusted as per your taste. There are a couple of measuring lines in the scoop filter to keep you from making a mistake. 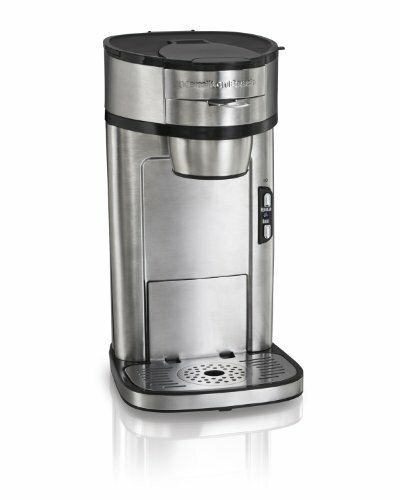 The Hamilton Beach Scoop Coffeemaker was the winner of a 2012 design award. A cup can be brewed within 90 seconds, and it automatically shuts off after that. 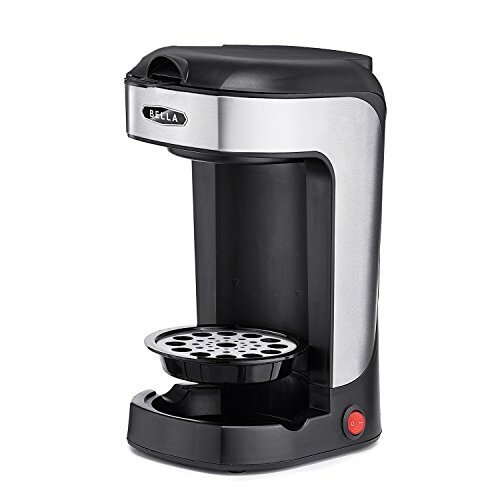 The Black & Decker CM618 Single Serve Coffeemaker comes with a 16-oz. travel mug and removable filter basket. It is capable of making coffee from ground beans or of the ready-made variety. Its parts are dishwasher safe. 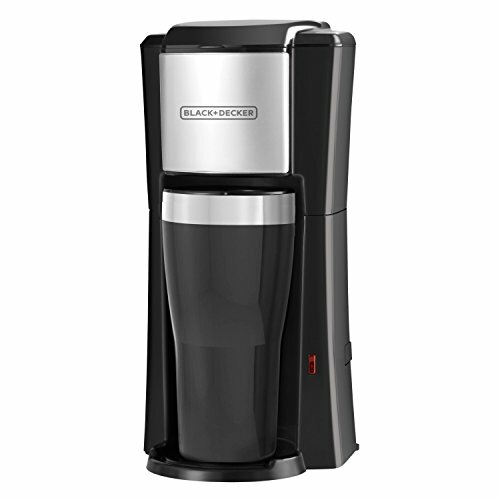 The Black & Decker CM618 automatically shuts off after brewing. It also has a power indicator button, and operates with a single touch. 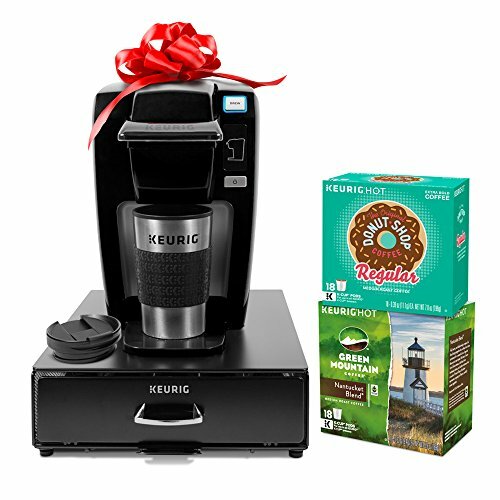 This coffee and tea maker has the capacity of making 14 oz. of your favorite brew. It can also serve you just hot water for your tea, hot cocoa, apple cider, soup, or oatmeal. It has a permanent brew filter with a detachable brew basket. It is compact, with dishwasher safe parts, and comes in 6 different shades. The drip tray is adjustable to mug size, and has a hinged lid for easy maintenance. There is a power switch, and a rocker switch for stopping the appliance mid-brew. 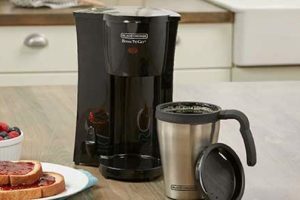 If you compare the features of the four coffeemakers above, you will see that the Hamilton Beach 49981A Single Serve Scoop Coffeemaker may be the perfect buying option. It has all the necessary features and still falls within a very reasonable price range. In addition to all the above, it has a built-in mug stand too. This coffeemaker gets our vote on all counts!